A star of the reality show "Homestead Rescue" acknowledged he broke a man's drone on Saturday, saying it had flown over his property and tracked him for about 1,000 feet. The incident boiled over on Facebook as Marty Raney, the star of the Discovery show, and Justin Pursley, the drone operator, shared their sides of the story. Pursley filed a petition for a protective order against Raney on Tuesday, but it was not issued and the case is closed, Alaska online court records show. The two sides apparently met later Tuesday and dropped the dispute, after Raney apologized to Pursley on Facebook and said he would replace the drone. Neither man responded to requests for comment by the Anchorage Daily News. A description associated with the protective order petition, posted by KTUU, showed that the angry encounter occurred at a road pullout in the Hatcher Pass area Saturday. KTUU also reported that Pursley canceled the protective order petition he had filed. Raney said on Facebook he was sharpening his chainsaw on his 40-acre homestead when he heard buzzing and saw a drone overhead. The drone hovered about 100 feet directly above him and his cabin, then came closer, he wrote. Raney went to grab a gun because "maybe that would get their attention," he wrote. But after he couldn't find the key to his front door, he instead began walking the long distance to his truck. The drone tracked him about 1,000 feet as he walked to the truck and then it disappeared, he wrote. Up the road, Raney found two men he didn't know — Pursley and his father-in-law, it turns out — landing a drone. They repeatedly denied filming him, and Raney called Alaska State Troopers and reported the situation, he wrote. Later, Raney grabbed the drone from Pursley. He said "it broke, and they freaked out. They immediately called the troopers and told them they had been assaulted." Pursley's description in the restraining-order petition said an aggressive Raney claimed to have a shotgun and would shoot the drone down. Raney approached Pursley from behind, grabbed his arm and then grabbed the drone, Pursley wrote. Raney threw the drone, "smashing it." 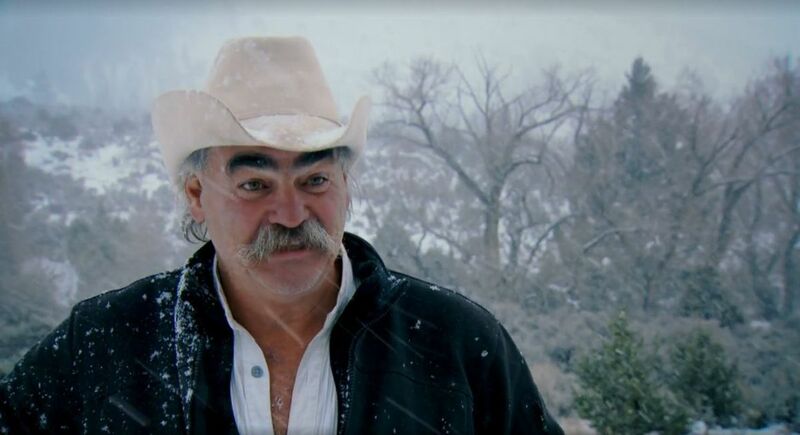 In the reality show, Raney and his family travel the country offering advice to people trying to live off the land. Allen Kenitzer, a spokesman for the Federal Aviation Administration, said according to regulations, operators should not fly over unprotected people or moving vehicles, and should remain at least 25 feet away from people and vulnerable property. The FAA public database of registered drones does not show names of drone owners. It was unclear Tuesday if Pursley's drone is registered with the FAA. Megan Peters, an Alaska State Troopers spokeswoman, confirmed Tuesday that troopers received a report of an incident involving a drone in the Hatcher Pass area. She could not immediately provide information about the event. Posts from Raney and Pursley discussing the dispute were shared on a Facebook user group for drone enthusiasts. Pursley's post, with pictures of the damaged drone, was removed early Tuesday. A detailed post from Raney, describing his version of events, had nearly 300 comments on his Facebook page by Tuesday afternoon. "Drone finale," Raney posted on his page Tuesday afternoon. "I met with Justin, paid for drone, new parts for damaged one coming. Now he has two. Shook hands. All good. Offered him a job as a drone operator for my show. Best I can do."